The Apex Vail is located just minutes from the base of Vail Mountain. Combining Luxury, Quality and Affordability we are your home away from home. 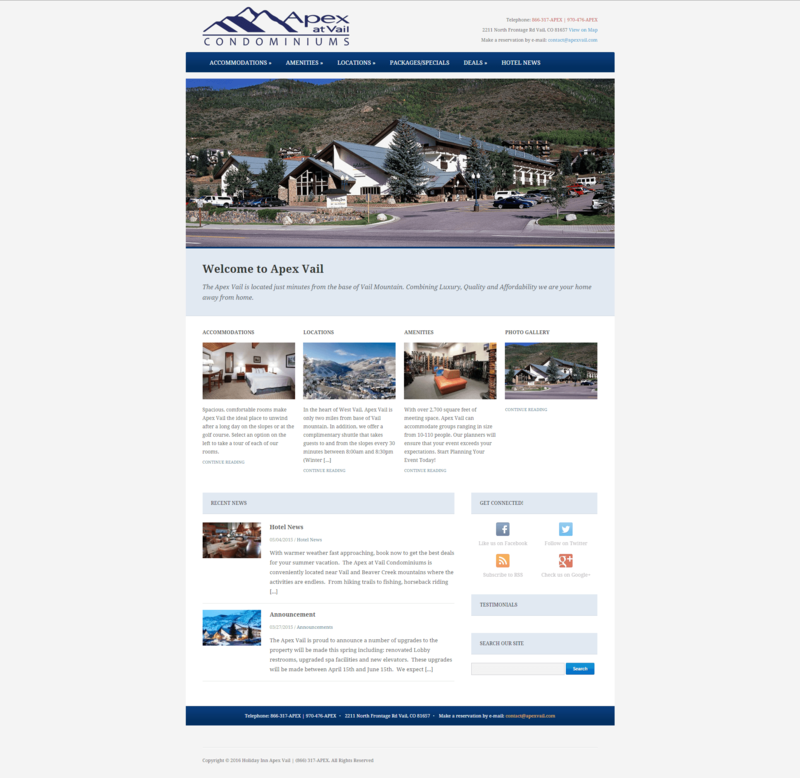 Apex Vail approached us requesting a total redesign of their website. They wanted a more modern look which was user friendly.